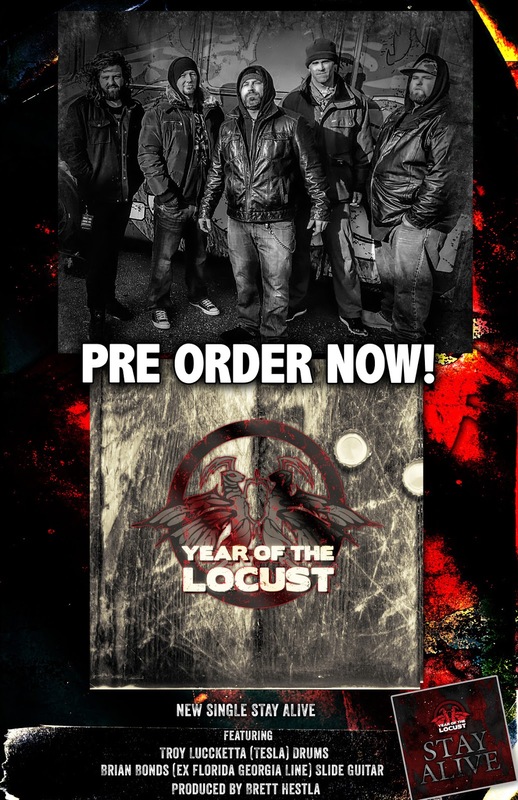 YEAR OF THE LOCUST - Release Lyric Video for "Stay Alive"
New York Hard Rock Band YEAR OF THE LOCUST has released the lyric video for their single "Stay Alive." 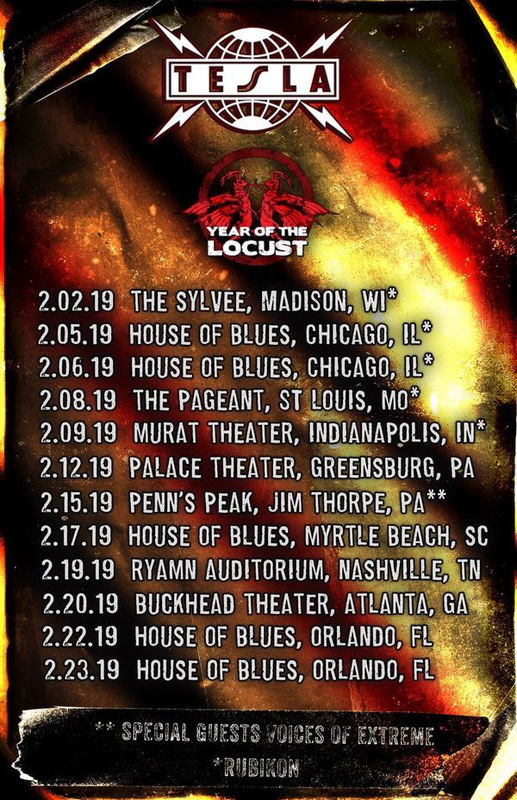 Featuring Troy Lucckette (TESLA) and Brian Bonds (FLORIDA GEORGIA LINE), "Stay Alive" off of YEAR OF THE LOCUST's upcoming, self-titled EP. "'Stay Alive' is a redemption song; when you think it's time to give up is just the best time to turn it up." says Scot McGiveron (Vocals). "Troy is so creative and brought so much energy to the drum track, while Brian's energy and guitar-play is just always so powerful."